Please feel free to contact us if you have any question. Order 9 3/4" x 9 3/4" White color Marble Glass, Natural Stone Mosaic Tile with combination of Basket Weave shape and Polished finish. Discover AKDO Tile mosaic collection. 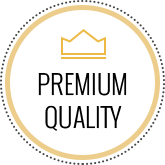 Buyer/Owner must determine slip resistance suitability and maintainability. Natural stones, ceramic, porcelain, quartz and related products represent products of nature; we cannot be held responsible for any cause of action resulting from their use in any form. Stone Solution + Design makes no expressed or implied warranty, for any particular use. These products inherently lack uniformity and are subject to variation in aesthetics, color, shade, finish, tint, hardness, strength resistance, density, etc. Natural stone may be characterized by dry seams, pits, and fossils. In polished and honed stones, these pits are often filled during the manufacturing process or at the time of installation. These fills can occasionally pop out from normal wear and use. In these instances, it may be necessary to refill these voids as part of a normal maintenance procedure. Any samples submitted are with the understanding that these qualities are inherent in the nature of the product and are not to be considered latent defects. Mosaic with metal is not recommended for use around heavy water areas including tubs, shower surrounds, pools, spas, and any other exterior application. After installation vendor disclaims any liabilities. Mosaic tiles can be cleaned using warm water and a cloth. For deeper cleaning, a mild detergent or glass cleaner can be used. Do not use abrasive sponges or cleaning agents with strong chemicals as this may harm the metal mosaics. Currently, we do not accept online orders. However, you can contact us for questions and placing orders. 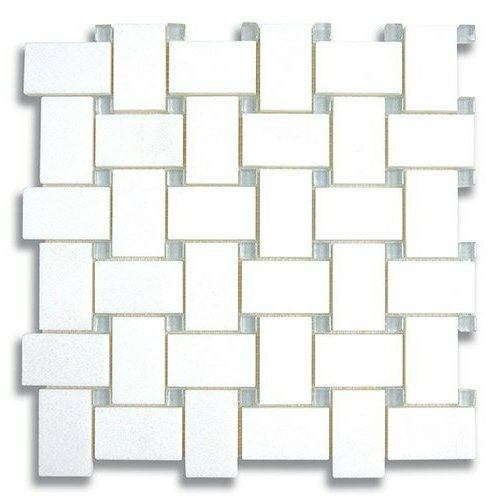 Buy 9 3/4" x 9 3/4" White color Marble Glass, Natural Stone Mosaic Tile with Basket Weave shape and Polished finish. Discover AKDO Tile mosaic collection.. Material can be used for Kitchen Floor, Kitchen Wall / Backsplash, Bathroom Floor, Bathroom Wall, Shower Wall, Shower Pan, Living Spaces Floor, Living Spaces Wall, Commercial Wall projects. Each piece sold as 9 3/4" x 9 3/4" Sheet and covers 0.66 Sqft. 9 3/4" x 9 3/4"
Copyright © 2017 Stone Solution + Design LLC. All rights reserved.